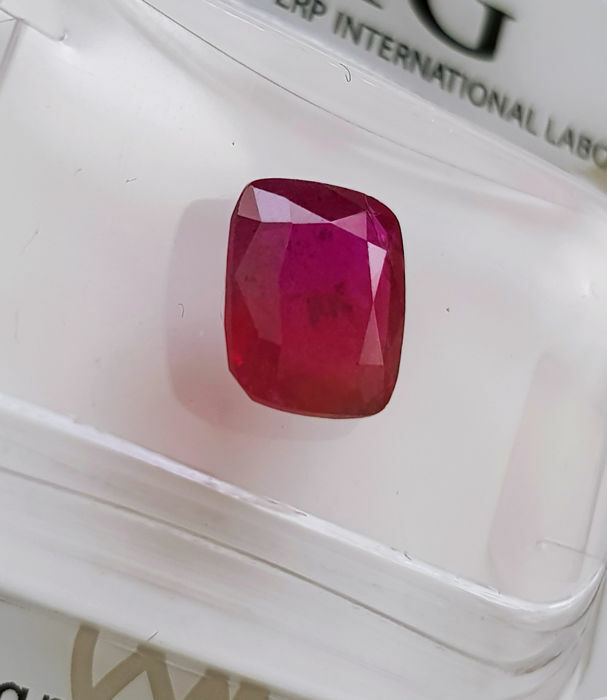 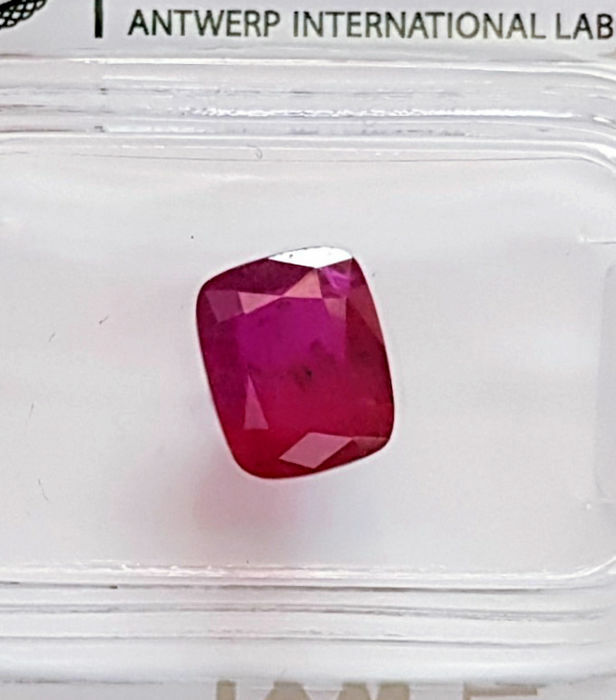 Natural unheated (good specimen) ruby are becoming more-&-more rare in the trade. 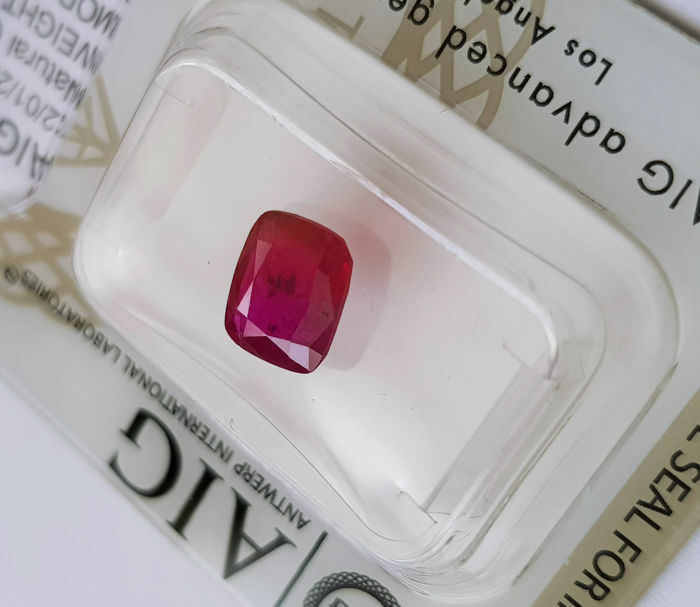 This one is of certified ''Vivid & fine colour quality.'' 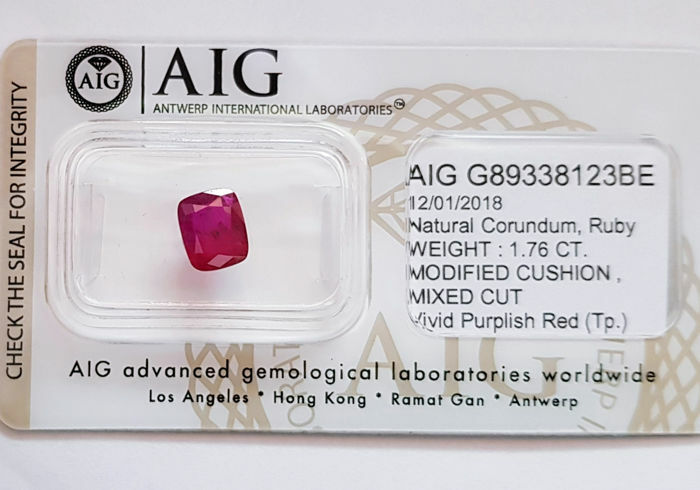 A collectible gemstone. 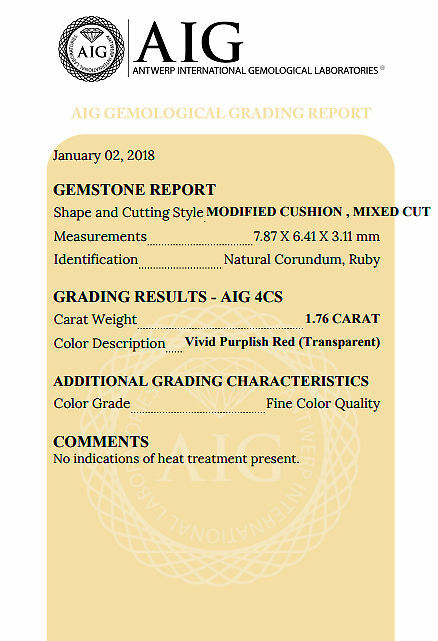 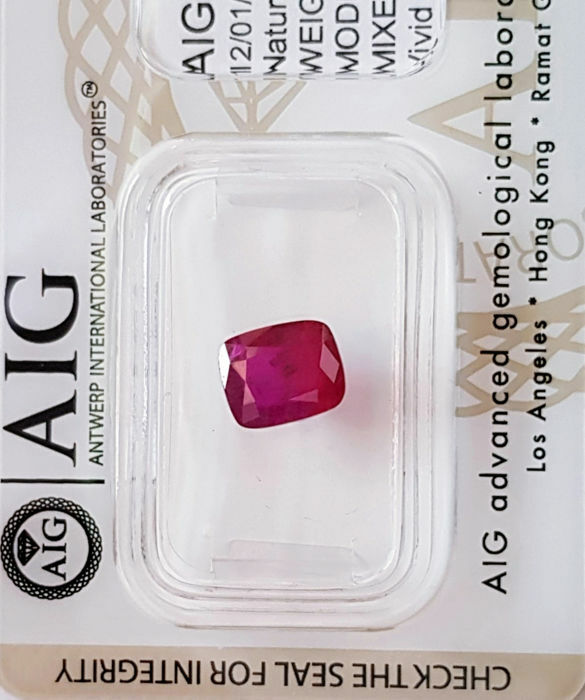 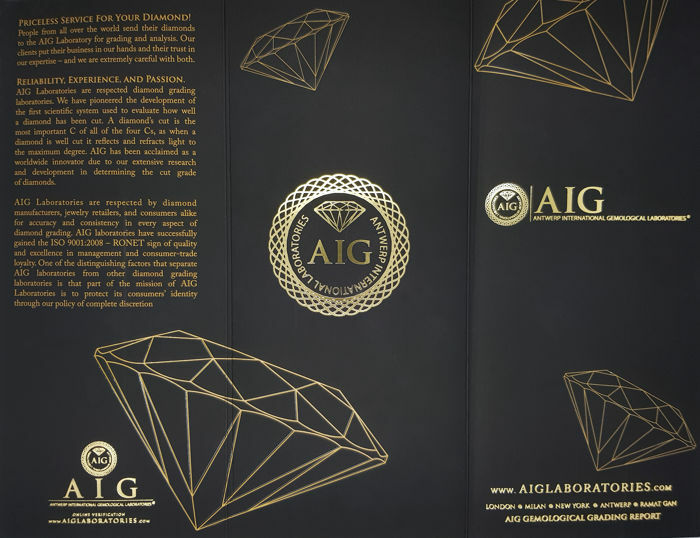 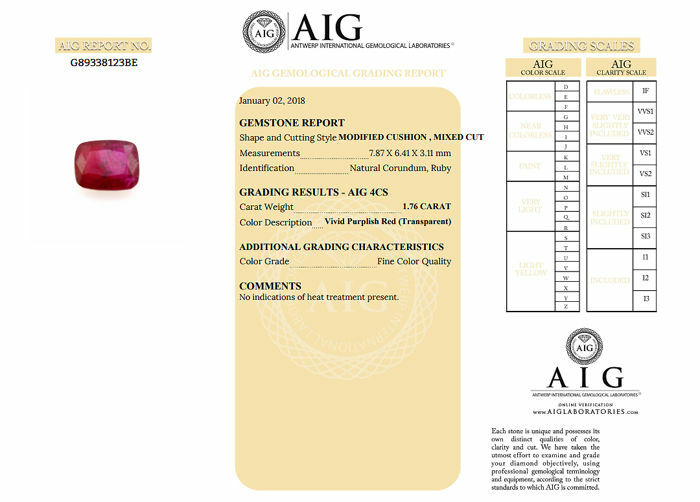 See international gemological laboratory certificate (January, 2018) for more information. 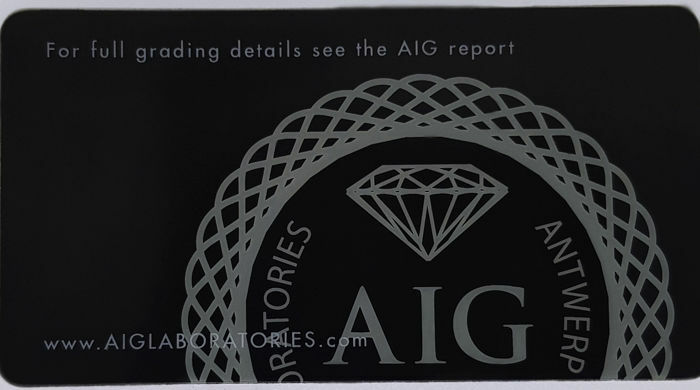 Registered and insured shipping. 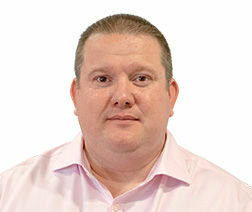 Buyers outside the European Union are responsible for (if) any import tax/duty.